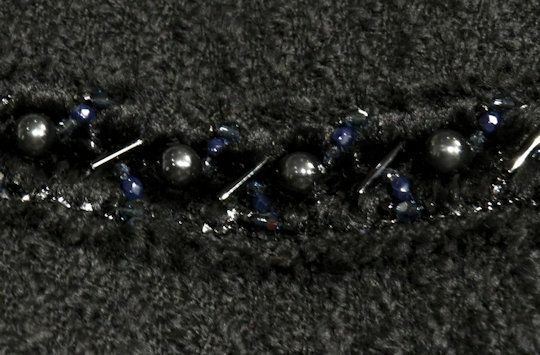 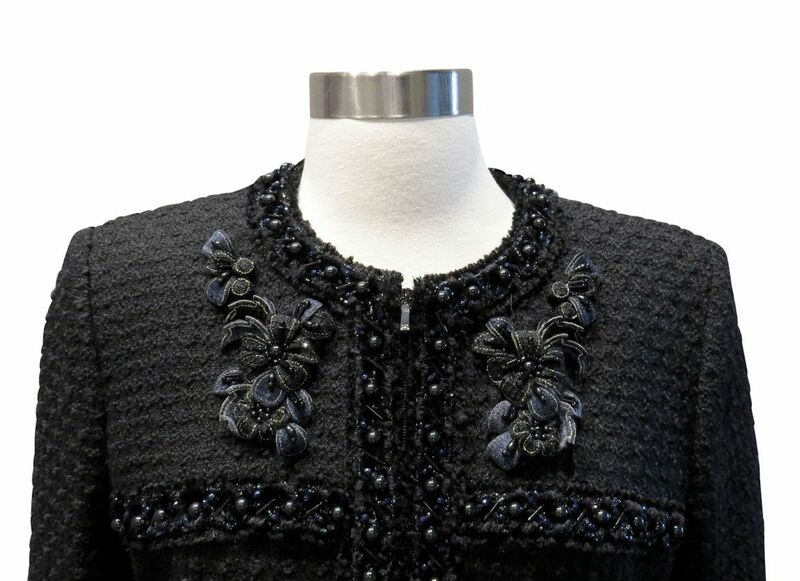 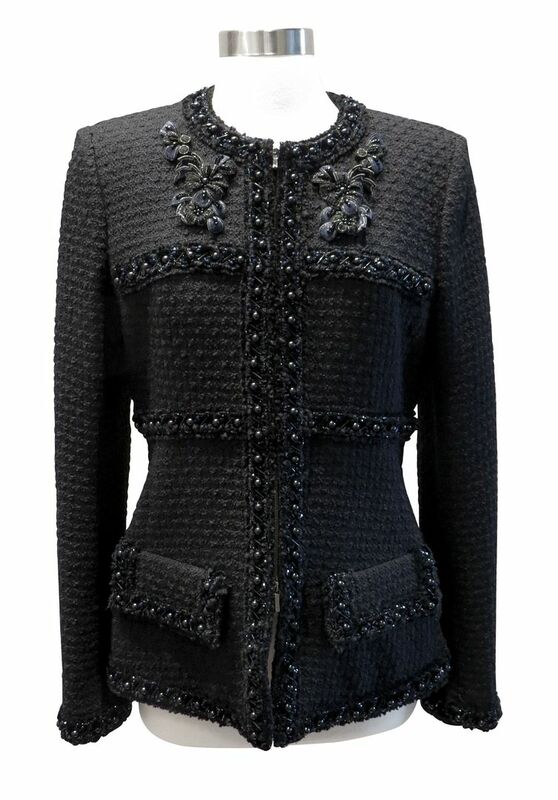 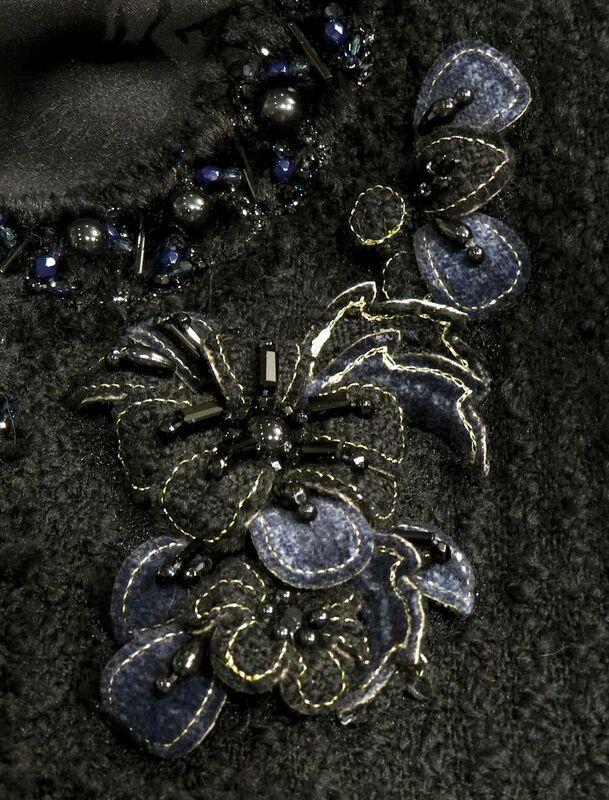 Brand new with tags from the 2017A fall/winter collection retailing for $18,000 with tax, this black wool tweed jacket with custom beading using black faux pearls/beads and lapis colored beads has a Chanel applique at the neckline on both sides. 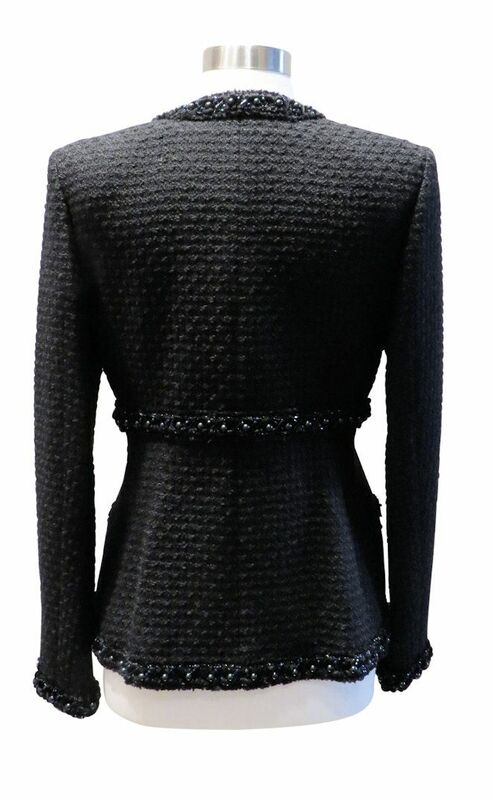 Zip front, fully silk lined with CC lock buttons at the sleeves. 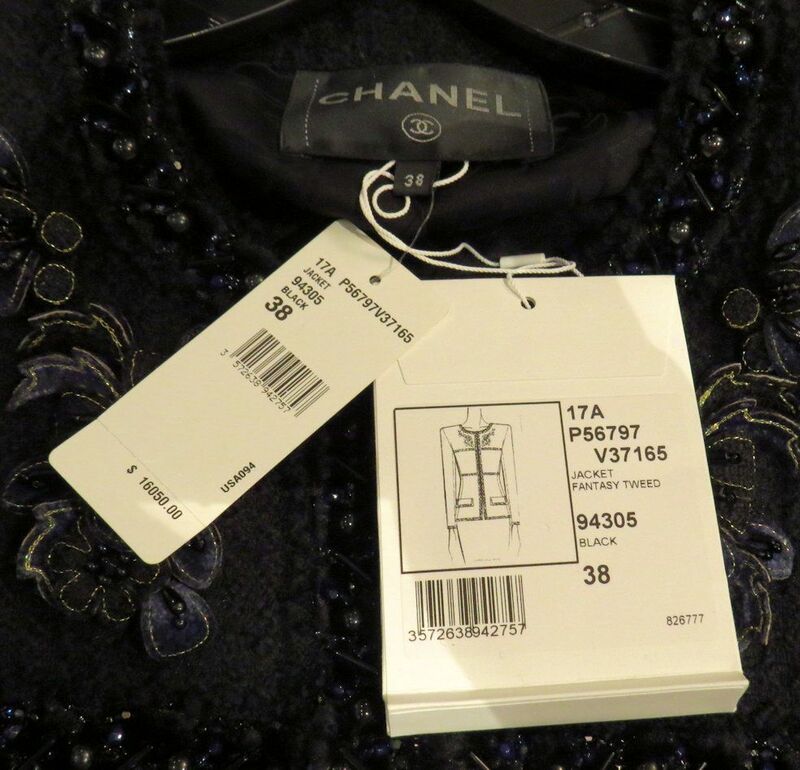 French 38, it runs true to size to generous so may work for a small French 40 too with a 36" bust, 32" waist, 26" long, 25" sleeves.